Thanks to John Prusnek on the Yahoo! Loopframe_Guzzi news group for suggesting this idea. When installing or removing the engine from the frame, it is all too easy to scratch the frame in the process. Taping the frame doesn't seem to help much and the foam plumbing pipe insulators are simply too thick to work on the bottom frame tubes. Instead, thin walled plastic tubing is a great solution. This type of tubing is commonly available to cover shower curtain rods. 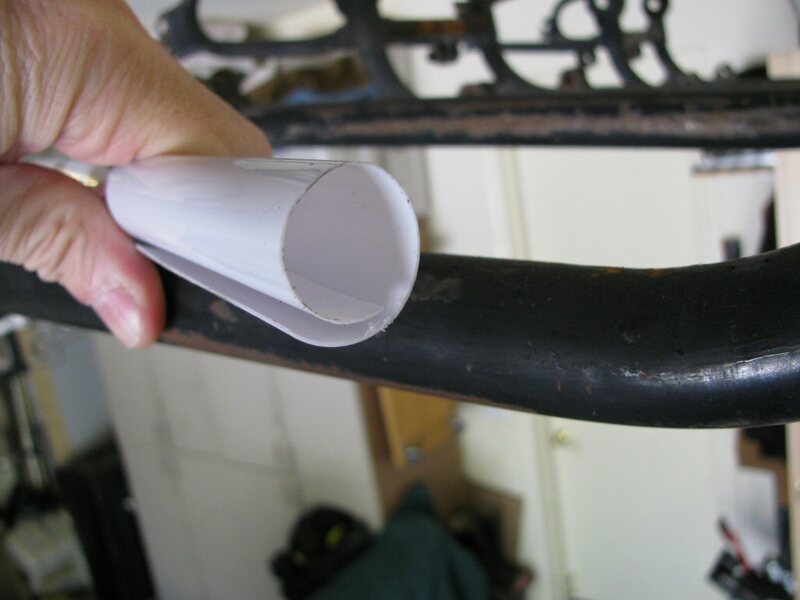 Use a plastic shower curtain rod cover to protect the paint on the frame when installing the engine on Moto Guzzi V700, V7 Special, Ambassador, 850 GT, 850 GT California, Eldorado, 850 California Police models.